Field-Planting the Wetland Species We've Tended in the Nursery. After working at King Conservation Disctrict's wetland plant nursery for three years, it was thoroughly satisfying to plant some of the species we've tended out in the field along the Longfellow Creek Trail in the Brandon Street Natural Area of West Seattle. The weather has been amazing this fall, with many sunny days and warm temperatures. 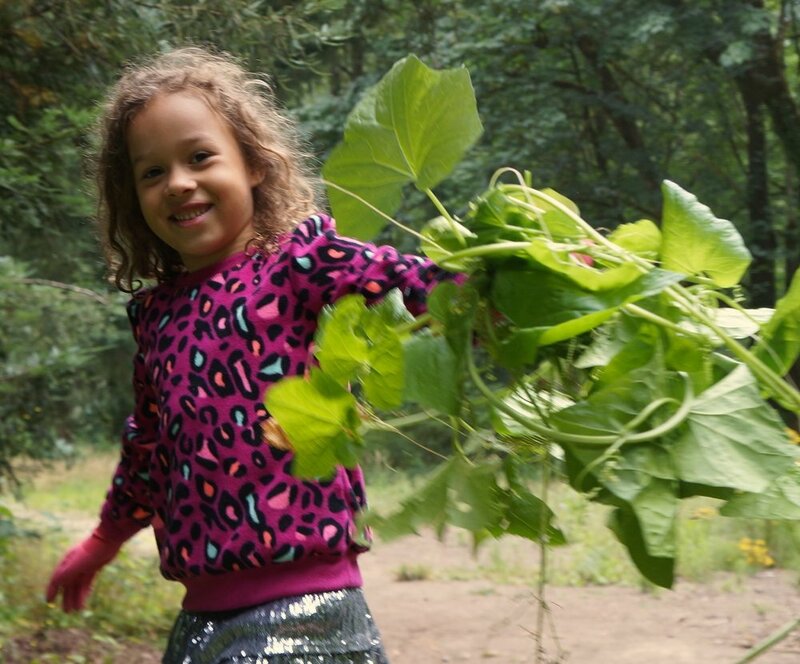 After a bit of downpour, the urban woodland sparkled and the kids enjoyed all its features from climbing cedar and trails to boardwalk and tall saplings to plant. They alders were much taller than the kids when we potted them up at KCD's nursery in the spring and after growing over the summer, they were larger still- requiring a team of three to get them in the ground. It was tricky at times to dig holes underneath the roots of mature trees, but it was enjoyable to see the nitrogen-fixing bacteria nodules in the alder roots (photo below). Alnus rubra / red alder roots showing the nodules of nitrogen-fixing bacteria that transform it from a gaseous state into a form usable to the tree, enabling incredibly fast growth and the ability to colonize disturbed areas as a pioneer species. They we excited to field-plant the tall alder sapling they had potted-up in the nursery the previous spring.